It was one of B&P biggest crowds as close to 300 business professionals took over New York Prime for the annual summer happy hour. Dan Levine addressed the crowd, thanking them for attending and explaining how getting involved with B&P can benefit your business and further strengthening the local Jewish community. With a record number of cabinet members, an impressive line-up of events and exciting new initiatives, the future is bright. 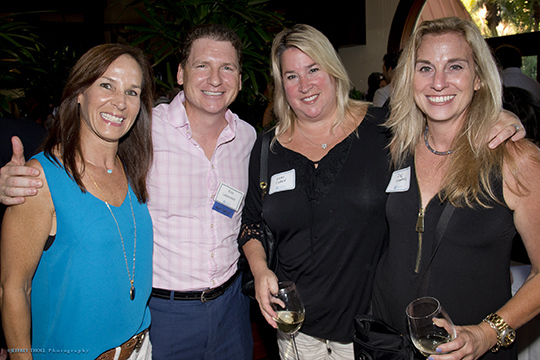 We invite all local professionals to discover why B&P has caused quite a buzz across South Palm Beach County’s business community. Join us at an upcoming event, consider getting involved at a leadership level, and/or become a corporate sponsor. The possibilities are wide open! To register for future events, visit jewishboca.org/bp. For more information about Federation’s B&P activities, contact 561.852.3128 or sonnis@bocafed.org.